My family is moving into our dream house in Westfield. We want to change the floors throughout our second floor. Our youngest daughter suffers from allergies, and I think that hardwood would be a more “allergy friendly” option. My husband however, believes that carpet would actually be a more appropriate choice. Which carpet is better for people suffering from allergies? Welcome to Westfield, and congratulations on your new home! When it comes to choosing the right flooring to put down there are definitely multiple options to consider, especially with a little one suffering at from allergies. While it is generally thought that having hardwood flooring in your home decreases allergy symptoms, this is not entirely true. Allergens that float around the home tend to simply sit on top of the surface. Because of this the allergens are being kicked up and mixed into the air causing allergy symptoms to become worse. Carpet, on the other hand, works more like a filter that hardwood does. Instead of allowing the allergens to sit on top of the surface, the fibers in the carpet traps the allergens in the house, reducing the allergy symptoms your family may be experiencing. Not only does carpeting help to trap the allergens in your home, there has also been a connection found between the use of carpeting in the home and a decrease in asthma attacks! 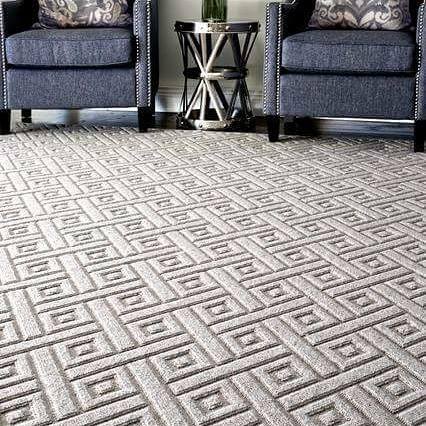 A study done in Sweden over the course of 15 years found that symptoms of allergies and asthma decreased when the use of carpet increased. Another study done in New Jersey found that when children had carpeting in their bedrooms at home, they were less likely to have days missed at school. There are a lot of options to consider for flooring in your home. Here at TCG we believe choosing carpet is a great choice if you’re hoping to improve your child’s health and decrease the chance that they will suffer from allergies in your home!